This brood disease is caused by the non-spore forming bacterium Melissococcus pluton. It affects open brood and is common during spring when brood rearing is at its height. Colonies may be severely weakened. EFB is considered a less serious disease than AFB but high losses have been recorded. 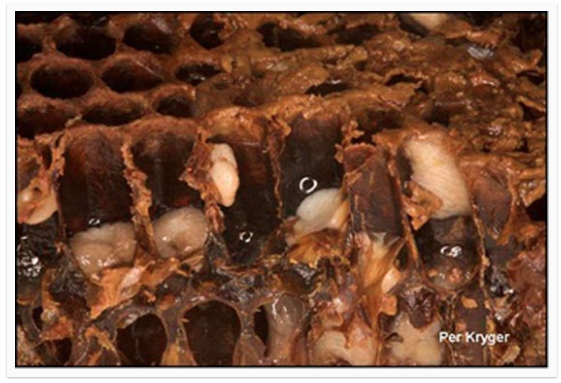 Infected larvae appear coiled/ twisted in their cells with a brownish colour and normally die when they are 4-5 days old. Sometimes one can detect a sour odour.